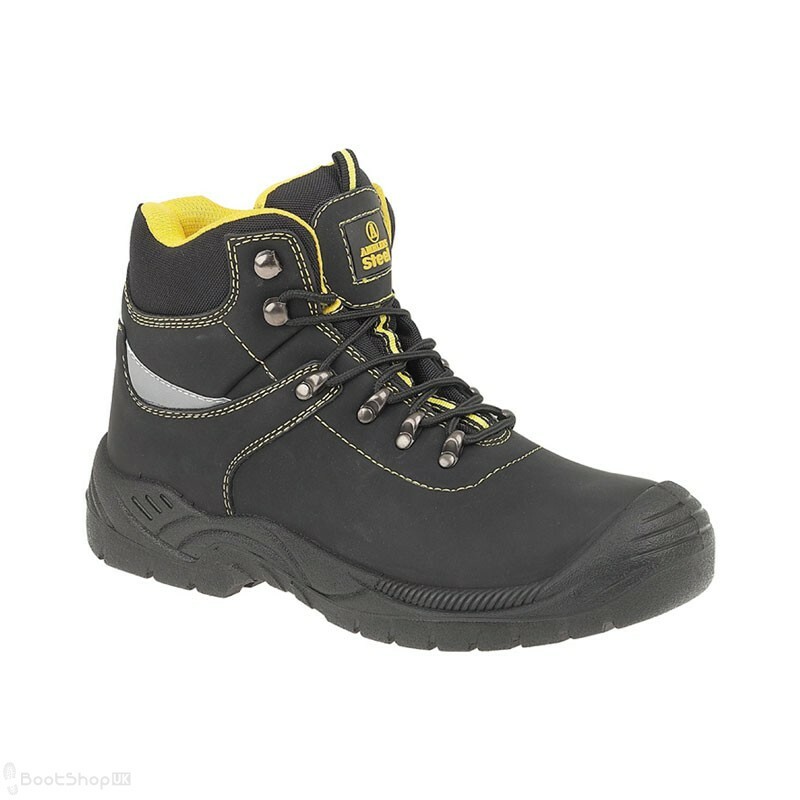 Steel toe cap boot with steel midsole and antistatic protection. Comfortably padded around the ankle giving optimum support. Bellows tongue prevents debris entering the footwear. Handy fabric loop at the tongue's top so you can align for comfort. 4 hardwearing metal D-Ring lace holds plus 2 speed lacing hooks. Dual density PU Sole extending to offer a front bump cap. Toe protection tested to 200 joules impact. Steel Midsole. Antistatic. Heel energy absorption 20 joules.